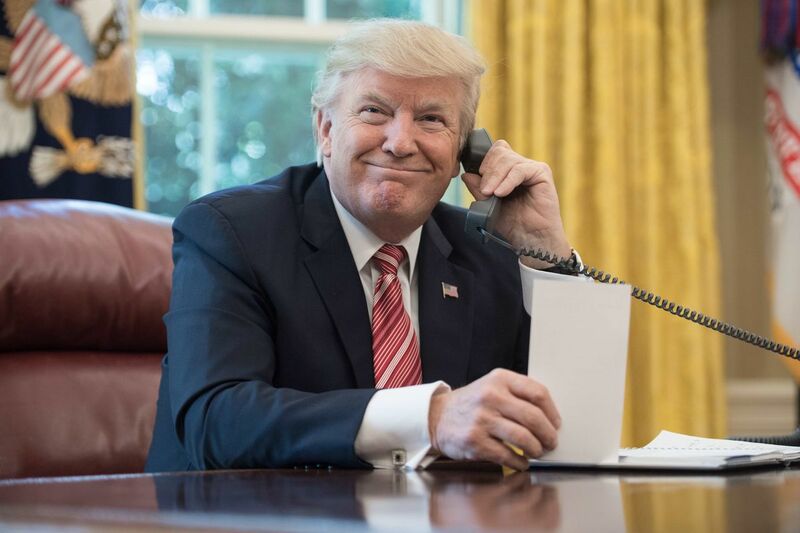 To celebrate the first 500 days of his administration, President Donald Trump held a conference call with his supporters on June 4th to list off the accomplishments of his administration so far. President Trump also encouraged grassroots activists to get involved with the 2018 midterm elections. The Deplorable Housewives of the Midwest was on the call with the President. During the approximately 15 minute conversation, Trump listed his proudest accomplishments of his first 18 months in office. Under his administration, 3.4 million new jobs have been created since Election Day including 330,000 manufacturing jobs. Unemployment is at the lowest level since the turn of the century. Unemployment among both African Americans and Hispanics is at the lowest level in history. The President also acknowledged that 3 million people are now off of food stamps because they are now employed. Wages are rising again, which Trump said has not happened in over 20 years. President Trump touted new policies that were issued to prevent tax payer dollars from funding abortion services, while a record number of regulations were eliminated. “We’ve cut more regulations than any other president during the entire term of their office,” he said. Approving the Keystone Pipeline, creating 48,000 jobs. Ending the war on coal, which the President called a “great form of energy”. Withdrawal from the “job killing” Paris Climate Accord which the President said was costing the U.S. a fortune. The President will soon sign the “V.A. Choice” legislation where a veteran is allowed to go see a doctor sooner than having to wait long periods of time. A quicker diagnosis can save lives. Approving “Right to Try” where a patient can sign a waiver and use experimental drugs to treat an illness. $700B of Military Funding has been approved. More circuit court justices have been appointed than any other new administration. Confirmation of Supreme Court Justice Neil Gorsuch. Moving the U.S. Embassy in Israel to Jerusalem and saving the U.S. almost $1B by using an existing building for the Embassy instead of building a new one. Renegotiating “disastrous” trade deals and imposing tariffs on foreign steel and aluminum and imposing tariffs on various industries and countries the President said have taken advantage of the United States. The wall along the southern border of the United States has started to be built. Talks coming up with North Korea, which the President said will hopefully work out. Finally, the President said the main point of this conference call is to urge his supporters to go out in the midterms and vote. We Have Yours Too !!! !